Poor little guy. I trust at least you're matching impedance??? Don't worry, when I start gigging I throw some electrical tape on there maybe. 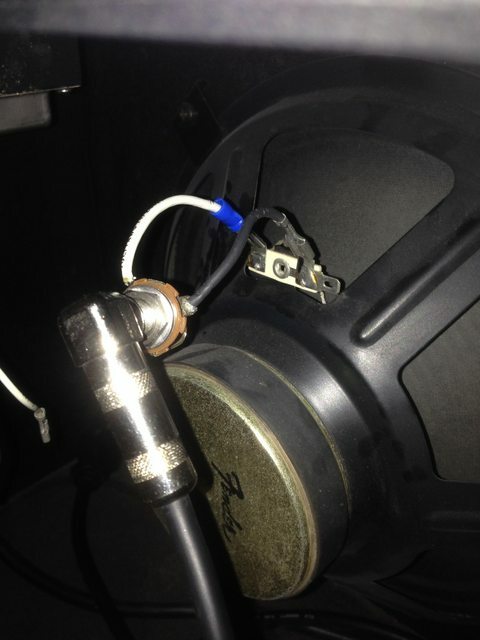 As for impedance matching, apparently one is supposed to switch the amp to 4 ohm output when running it into a single 8 ohm speaker in 60 watt mode. I'm not sure why, and haven't had the time to read up on it yet. Voodoo? What is this? It's switchable between valve or solid state? Yep! The (earlier?) Mark IIs were the same. Kind of neat, I think. I am now tempted to build a comically large, 50 pound 1x10 combo. I think it's really odd that it's switchable like that, but really cool for some reason. $80. I gladly would've paid a couple more for him to ship it properly. Agreed! 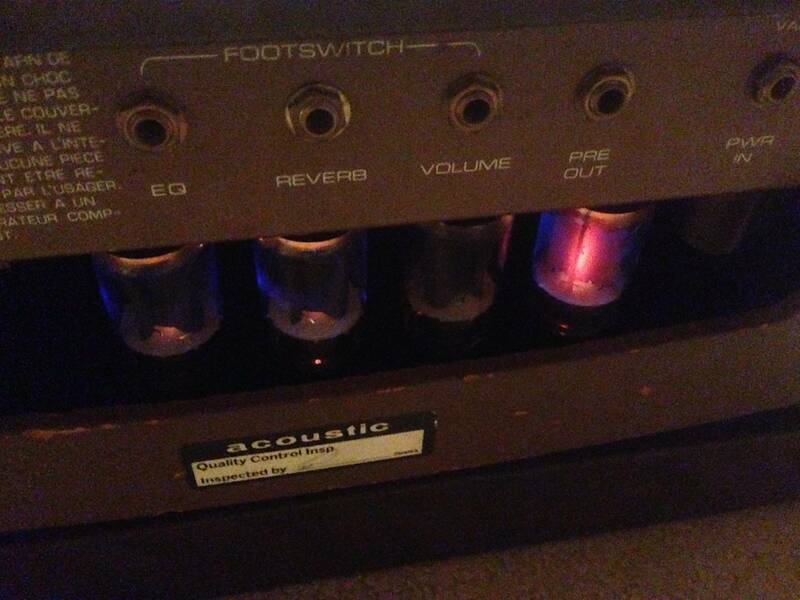 If I ever get around to building my own amp, I intend to include that feature. Ideally, it'll be a sort of Mesa/Sunn switch. My God! I thought I did a great job too! I am currently in the hospital for six weeks. what can I do to make it right. I'm so sorry! my hospital number is ###-###-####. I guess I have to research this now. bleh. Figured it out! The little plastic part that prevents installing the tube incorrectly had broken off of the cold tube, so it had, of course, been installed incorrectly. The fact that the amp still functioned is testament to the hardiness of tube amps and/or mesa engineering and/or blind luck. Once turned right-way-round it warmed up nicely, and its neighbor no longer tried to outshine the sun. I've decided I like 60 watt better than 100 watt, and tube better than FET. This is all based on timid whisper volume levels.